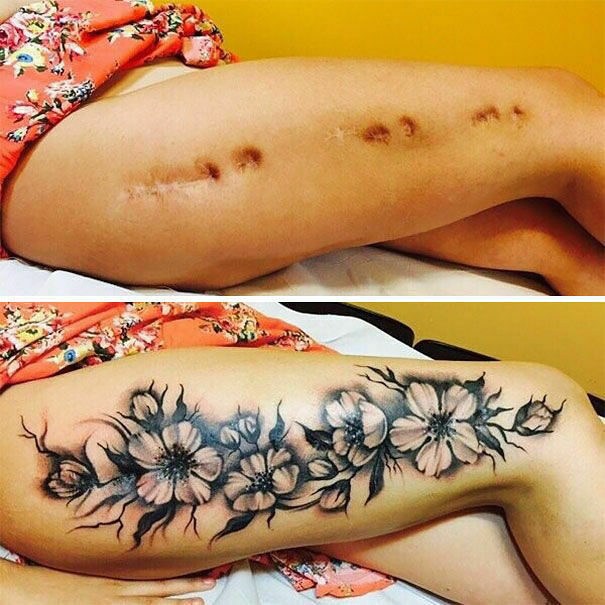 When it comes to body art, amazing tattoos can mean different things for different people. 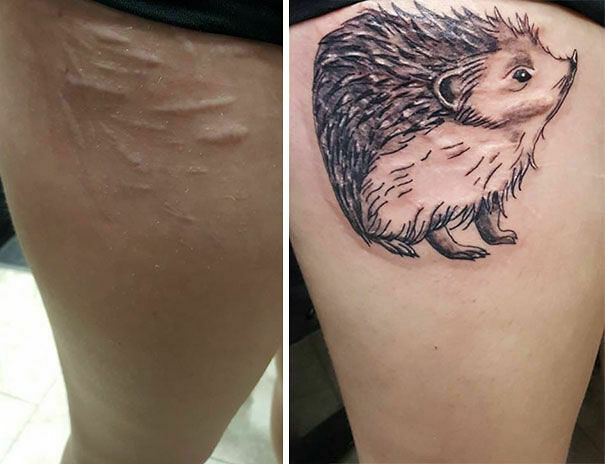 For one person thier idea of body inking could constitute an exotic or elaborate design that covers large parts of their body area. 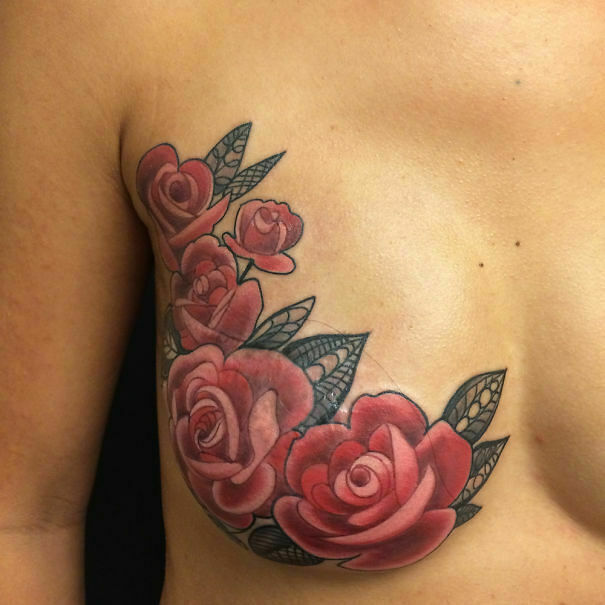 Or it could just mean a really simple and understated design that is hidden form view and personal to the owner. 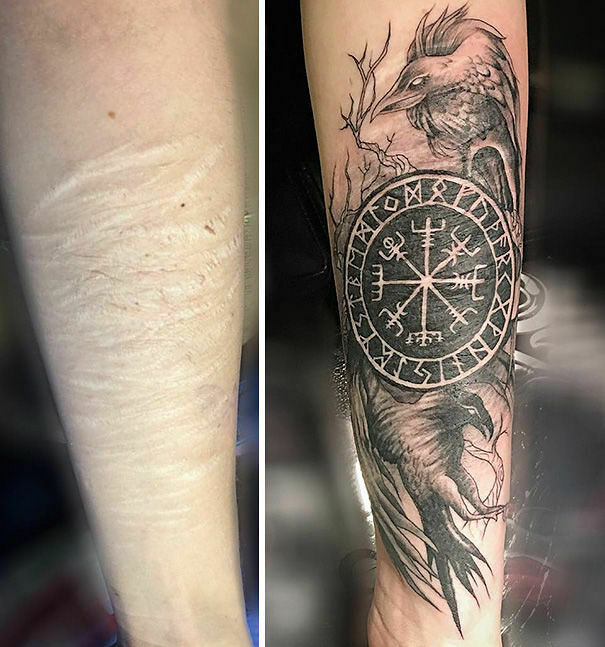 For others still amazing tattoos could be something that relates to or reminds them of someone, a family member, a loved one, a friend, even a dog. 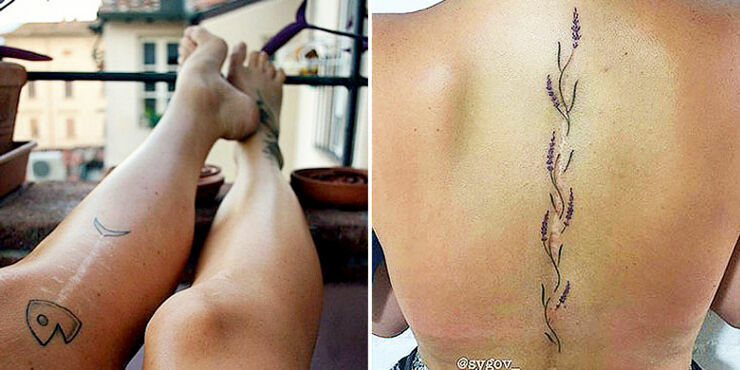 But the tattoos featured in this particular photo spread do something very different. 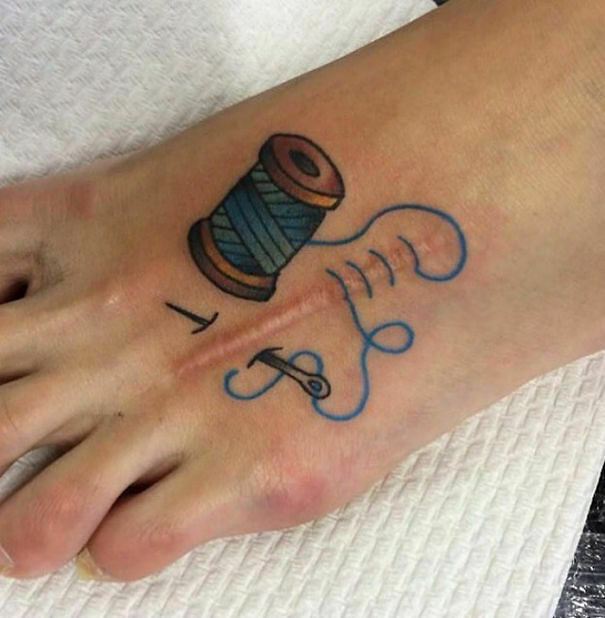 Because not only are they great designs, but they're serving another different purpose too. 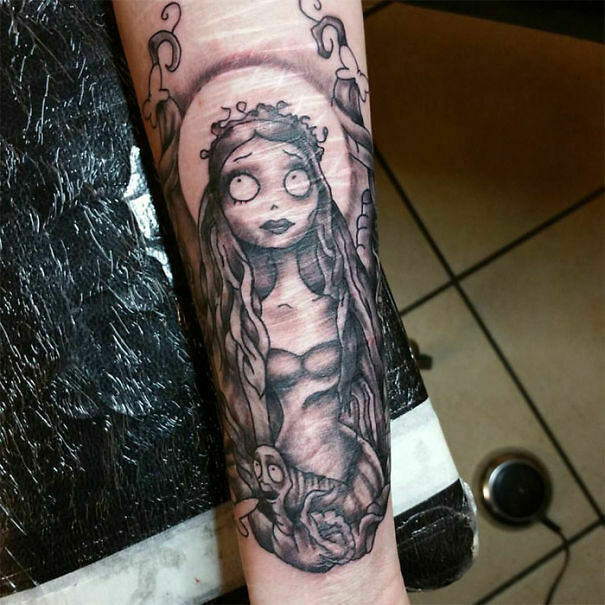 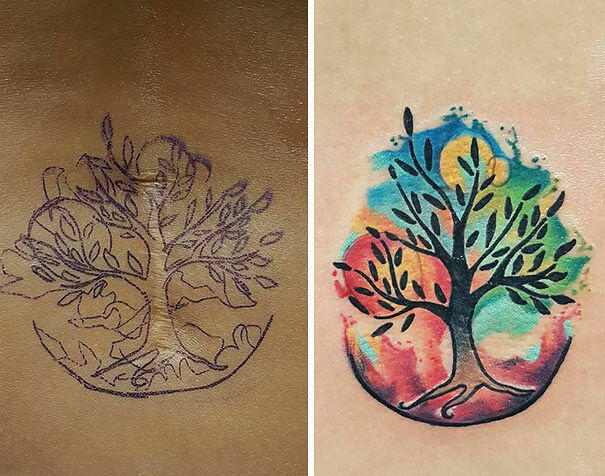 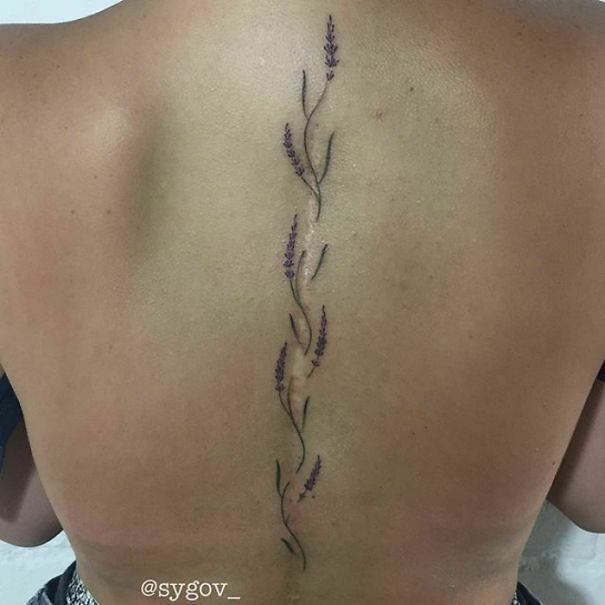 These amazing tattoos are designed and inked onto customer's bodies with the sole intention of helping people either cover up their body scars, some of them quite dramatic, or incorporating the scars into the design in creative and unique ways. 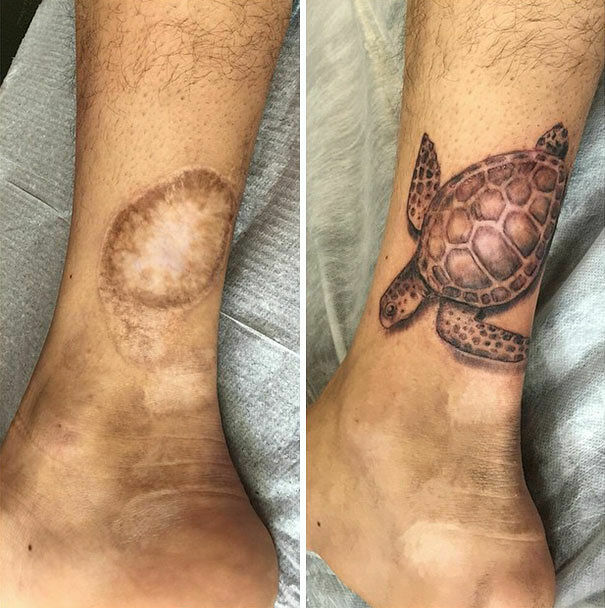 In most cases the scars add a very unique, textured appearance to the design. 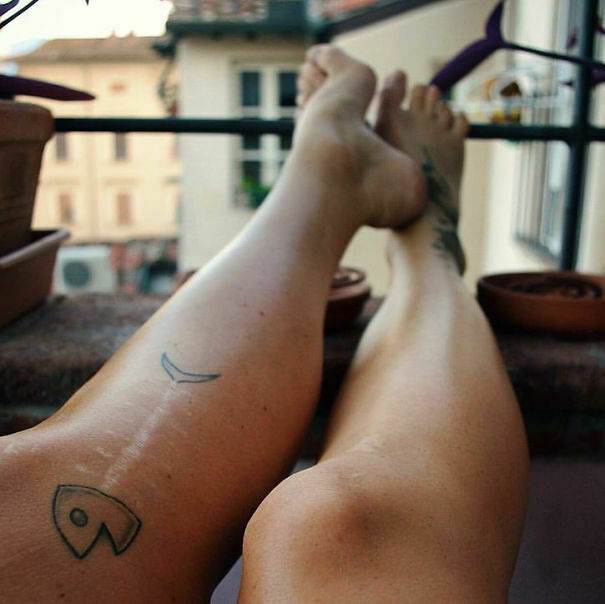 There’s an apt quote, 'Stars are the scars of the universe,' so I view my body as the universe and my scars as the stars." 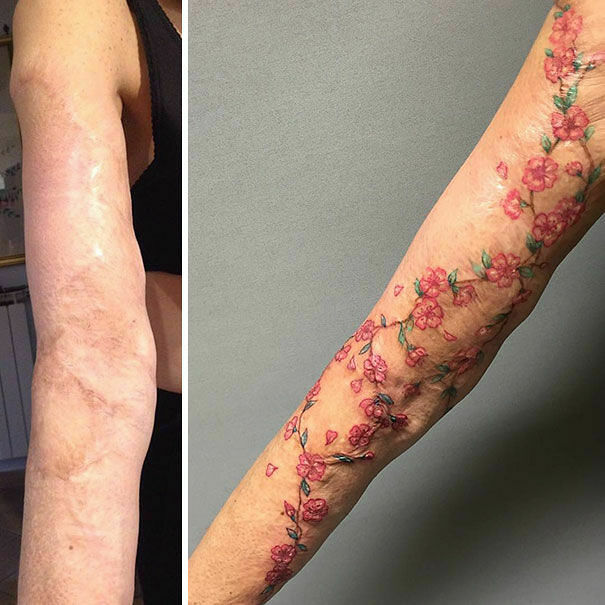 These body scar tattoos have helped people to reclaim their body and learn to love it, scars and all." 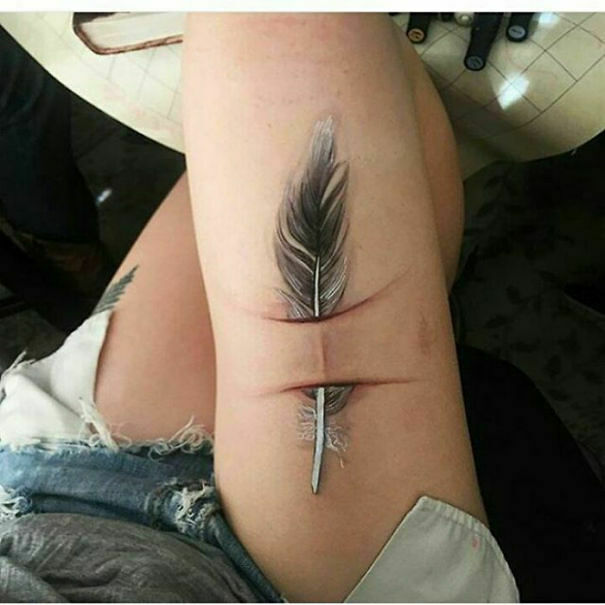 It's quite an interesting take on why you would want to get a tattoo. 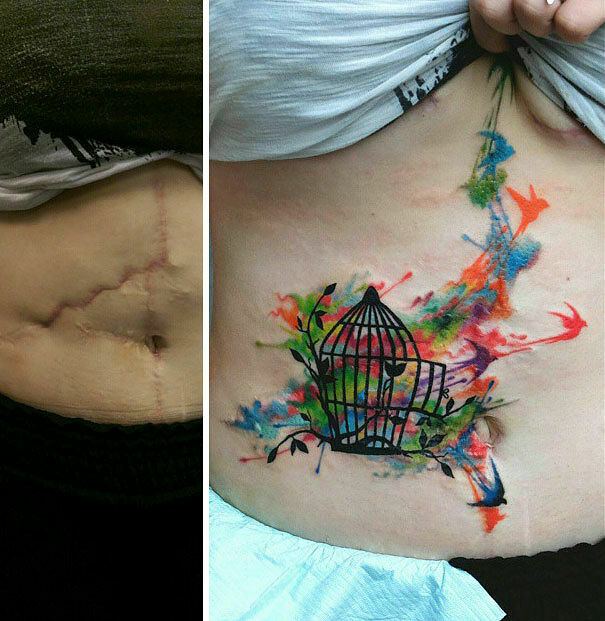 Instead of just something that looks cool or as a memento, it's a way to celebrate your body scar. 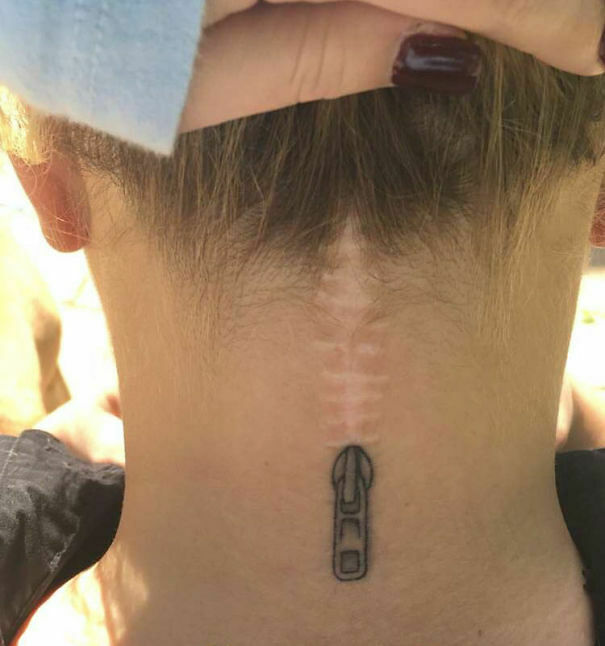 Or hide it. 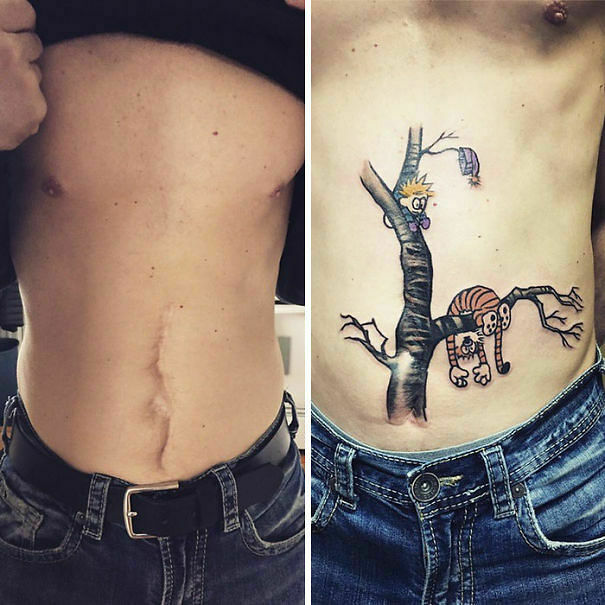 There was even a recent news story about a Chinese tattooist who was offering tattoos to mothers to cover their C-section body scars. 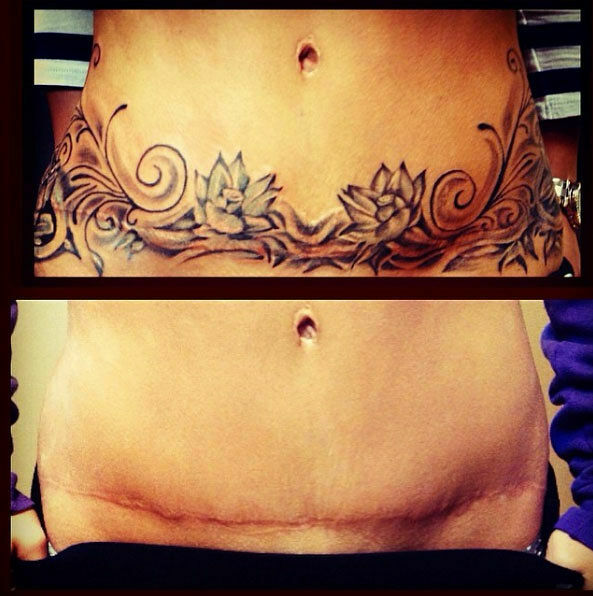 The women who have had tattoos from him say they feel more confident about showing their stomachs now. 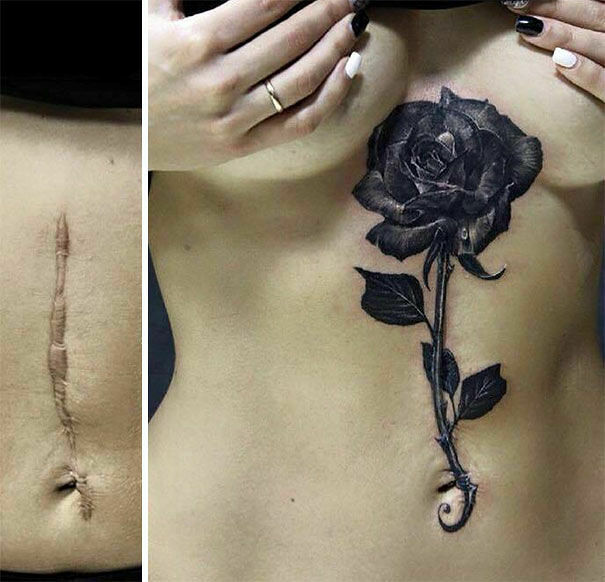 "A tattoo makes a woman more confident. 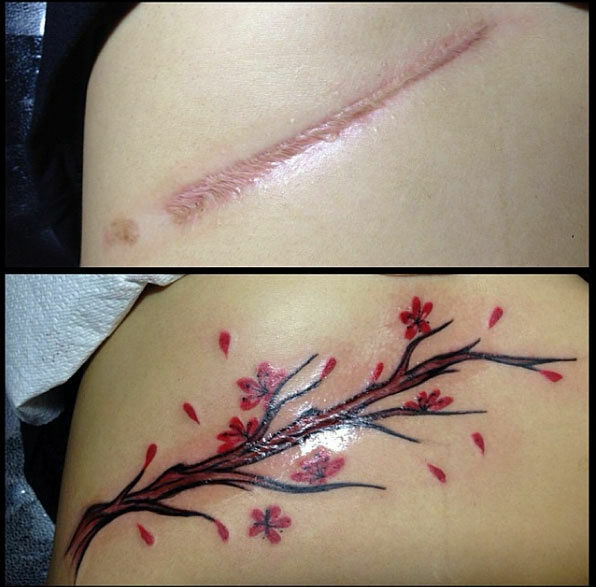 She will no longer feel ashamed to show her abdomen," said tattoo artist Shi Hailei. 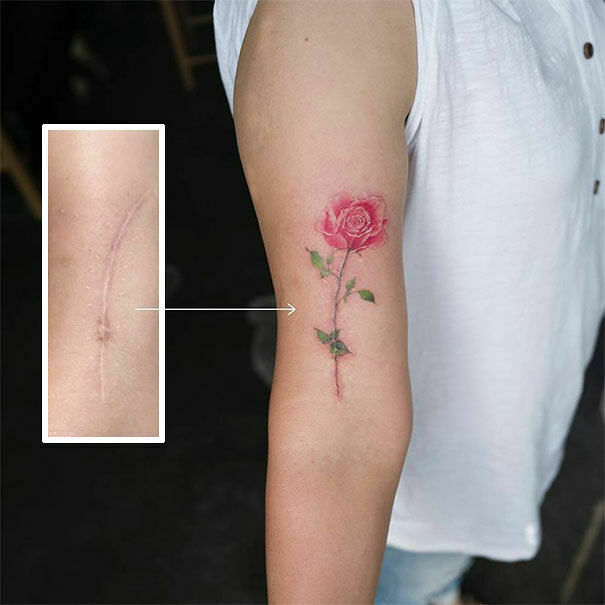 With one mother saying, "I felt awkward to see my scar when wearing a low-waist dancing dress. 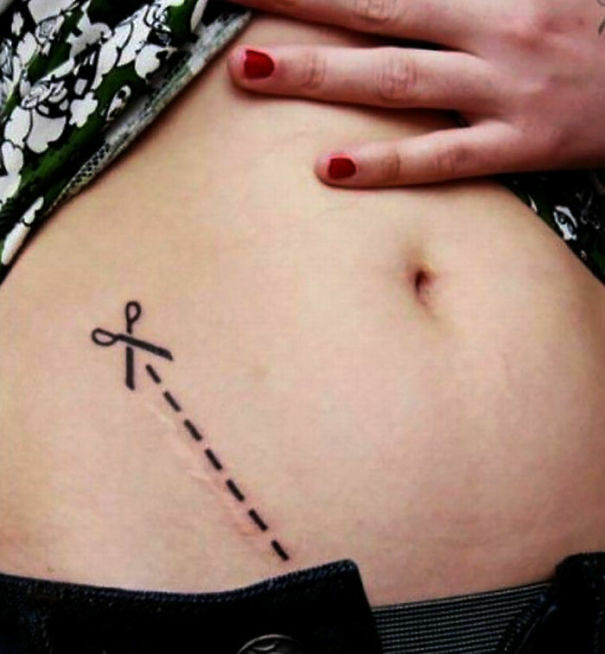 I can dance freely on the stage now without worries or awkwardness." 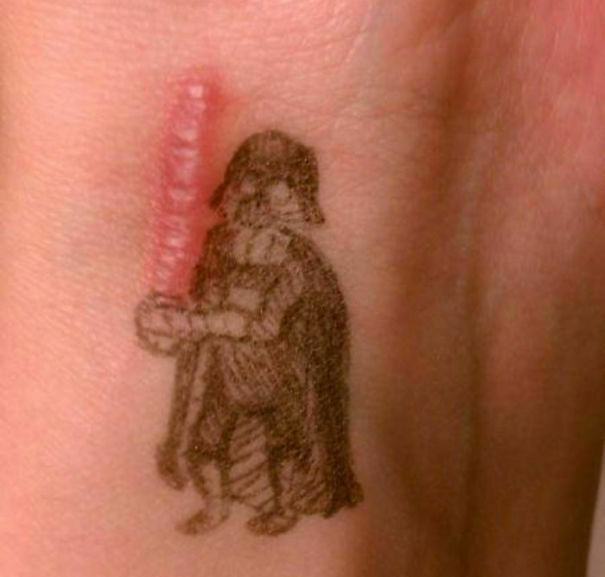 So, you see, tattoos can serve many functions. 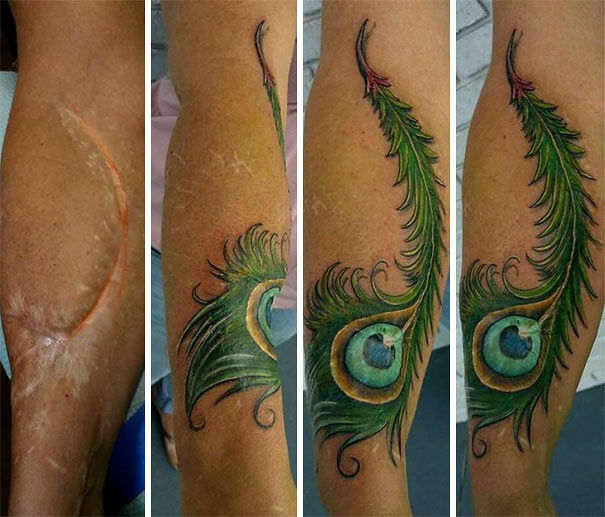 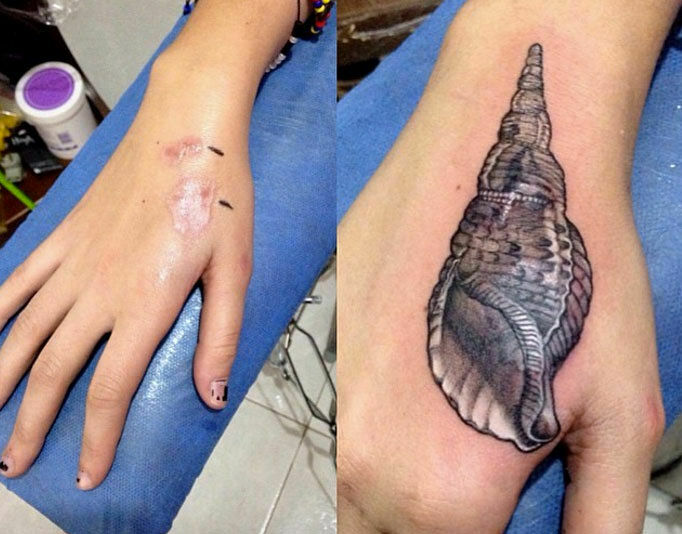 Check out some of the scar cover up tattoo designs below.